Are you kidding? What a great watch at a ridiculous price. Thank you Stauer! 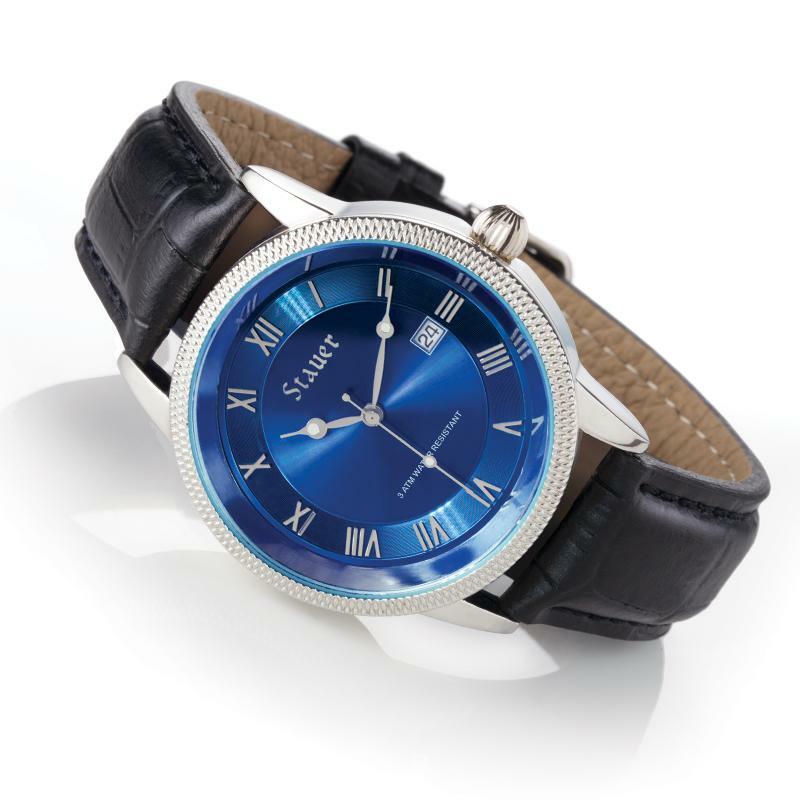 The size is larger than anticipated but it is the cerulean azure blue dial that is most striking. I got it about 6mos.ago is runing like high priced timepiece.This is my fourth Sauer watch always good quality at reasonable prices. Tks. My mother bought me this watch and I have had nothing but great comments from others when I am wearing this watch. I have other very expensive watches and this is the only watch I wear since she gave it to me. The blue color of the face is very striking and catches everyone's eye. I wear it for casual wear or dress up wear as I love it--it goes with anything. I have had this watch for well over a year. 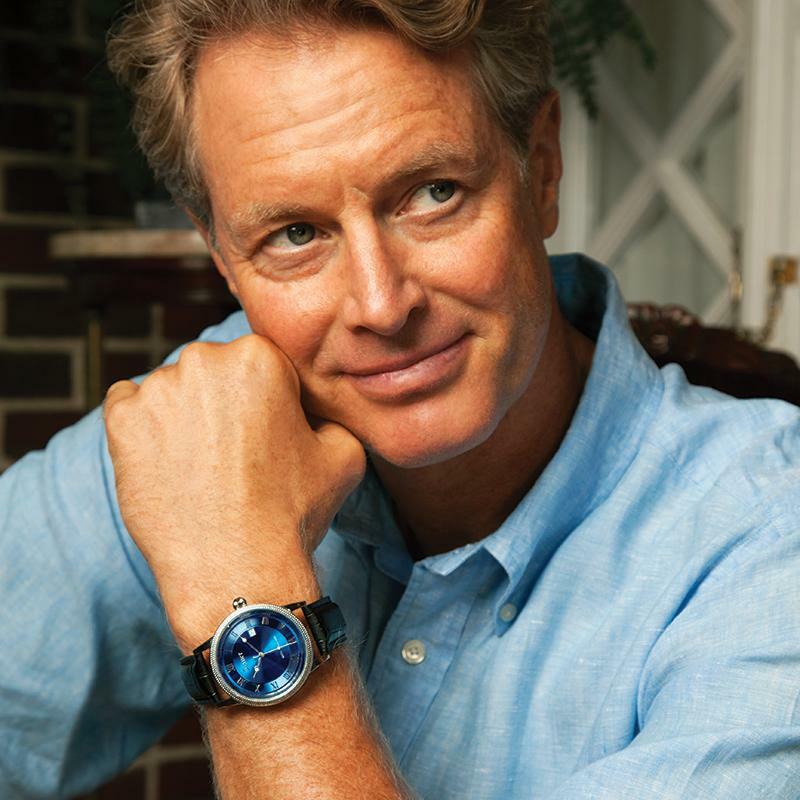 The blue face is really beautiful and the watch performs flawlessly. Well worth it! I wanted a simple watch that was durable for everyday use. Imagine my surprise when I received a high quality watch that is truly worth hundreds of dollars. I have had ammany watches and even the more expensive ones were not the quality that this one has. The stucture is solid, the numbers are LARGE and the face is really a designed with style in mind. Thanks for making such a fine piece of jewelry so affordable. So Much for the Price! Best looking watch I have ever owned. That BLUE is mesmerizing. Can STAUER sell them for such low prices? That I will never have to worry about batteries. This is a beautiful and splendid looking watch. I bought it for my husband and he just loves it. The price was phenomenal and he's gotten so many positive compliments on it and, naturally, we've told people where to buy this gorgeous watch. I'm so happy that I purchased this watch. It looks nicer than some of the really expensive watches on the market. Fantastic product and well worth the money. After a week, the first one I got broke. The seconds handle just fell off. The second one I got (free of charge) works well, but I get the feeling people think I'm trying to flex on them, as the watch looks really expensive. I ordered this as a surprise birthday gift for my husband's birthday. He loves it and wears it everyday! It's just unnecessary. Extravagantly-priced watches that add zeros just because of a high falootin' name. Why shell out big money so some guy can add another 150-foot yacht to his collection? It's time to put an end to such madness. It's absolutely possible to have a high-quality timepiece without the high and mighty price tag. 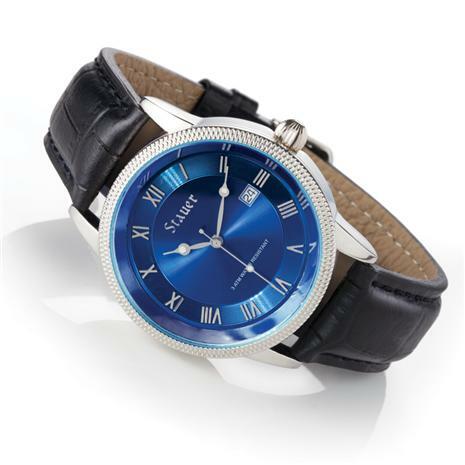 Case in point: The Stauer Urban Blue. It's everything a top quality watch should be: Sturdy with genuine leather construction. Precision timing. Durable CotswoldTM Crystal. And, good looking - with simple, clean lines and a striking metallic blue face. Just say no to the over-priced watch craze. The truly high-class individual is tempered enough to know a deal when he sees it and recognizes that not all of the finer things in life come with a hefty price tag. He doesn't just want status, but also the reliability that comes with expert construction and craftsmanship; cost is only secondary to him. And, if it's a timepiece that happens to only cost the same as two well-made cocktails at his favorite bar, then that's all the better. Join our email list to receive exclusive offers and discounts. PLUS ... Get a $40 Discount Just For Signing Up! Thank you for reviewing our product! Our reviews are moderated for vulgarity and spam. Your comments will be turned on within 1 business day. Your review has been successfully submitted. Thank you for taking the time to review this product. Before you continue, please take a moment to read the review guidelines. Note: Posts are moderated- please no vulgarity or spam.